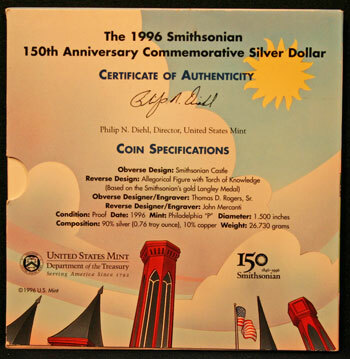 In 1996, the United States Mint offered a silver dollar in their Young Collectors Edition Coin Sets acknowledging the 150th anniversary of the Smithsonian Institution. 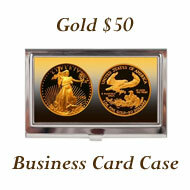 The collectible coin commemorates the 150 years of collecting. 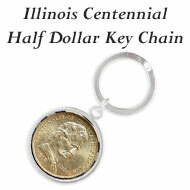 This coin set package is similar to the previous coin sets but differs slightly in size and in the construction of the inner coin package. 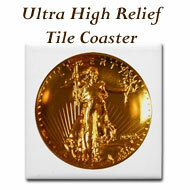 The set measures six inches by six inches by 3/8 inch with it being slightly thicker. 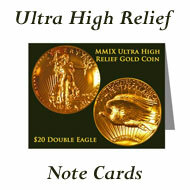 The outer sleeve is constructed of card stock printed in color, and the inner package, also of color card stock, is folded around a soft core to protect the coin. 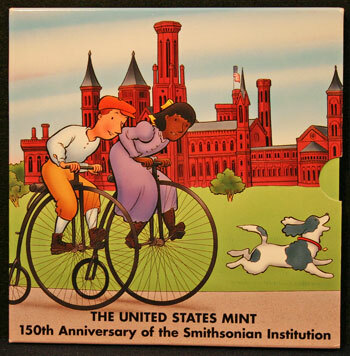 On the front of the package, Jeremiah and Christina, dressed in clothing of over a century ago, ride bicycles with large front wheels and small rear wheels in front of what is known as the "the Castle," the Smithsonian's first building. Their dog, Charlie, races along beside their bikes. 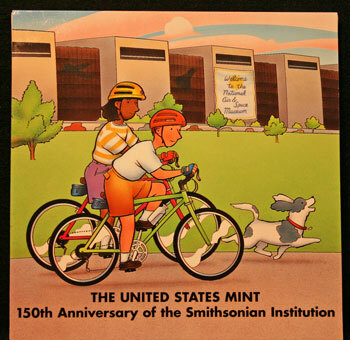 The title of the package states, "The United States Mint 150th Anniversary of the Smithsonian Institution" near the bottom of the front of the outer package. 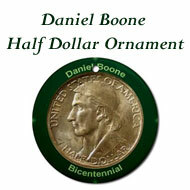 Obverse Designer/Engraver: Thomas D. Rogers, Sr.
For the inner coin package, the story changes to represent current day. Christina and Jeremiah are still riding bicycles but in modern clothing to include safety gear. Again, Charlie runs along the path with them. Notice, too, the building in the background changed to be the Smithsonian's National Air and Space Museum. 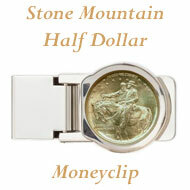 Your new silver dollar commemorates the Smithsonian's 150th anniversary, which is why it's called a commemorative coin. 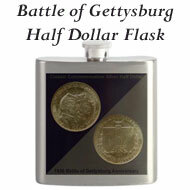 It's one way you can help keep the Smithsonian spirit alive. 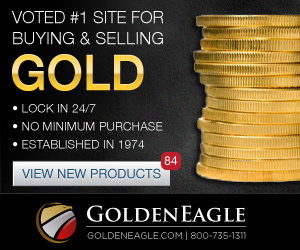 Building a coin collection is another way. That's because you'll keep your own record of history through coins. 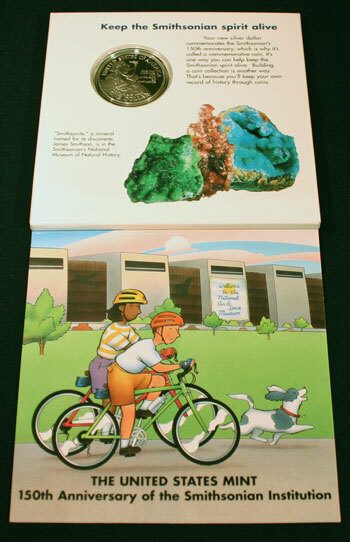 The picture on the lower right is captioned, "'Smithsonite,' a mineral named for its discoverer, James Smithson, is in the Smithsonian's National Museum of Natural History." The package differs from earlier coin sets in that it only opens vertically. Here, the back is shown at the top and the front at the bottom of the picture. Unfolded, the inside of the front cover is at the top and the back padded cover holding the coin is at the bottom. 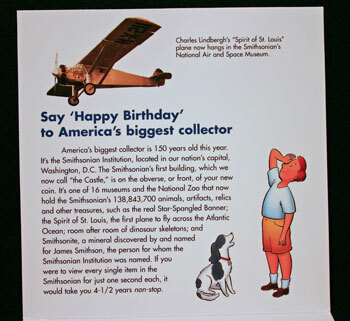 On the upper section, Jeremiah, with Charlie beside him, looks up toward the airplane which includes the caption, "Charles Lindbergh's 'Spirit of St. Louis' plane now hangs in the Smithsonian's National Air and Space Museum." America's biggest collector is 150 years old this year. It's the Smithsonian Institution, located in our nation's capital, Washington, D.C. 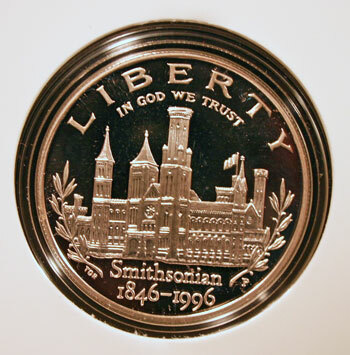 The Smithsonian's first building, which we now call "the Castle," is on the obverse, or front, of your new coin. It's one of 16 museums and the National Zoo that now hold the Smithsonian's 138,843,700 animals, artifacts, relics and other treasures, such as the real Star-Spangled Banner; the Spirit of St. Louis, the first plane to fly across the Atlantic Ocean; room after room of dinosaur skeletons; and Smithsonite, a mineral discovered by and named for James Smithson, the person for whom the Smithsonian Institution was named. If you were to view every single item in the Smithsonian for just one second each, it would take you 4 1/2 years non-stop. 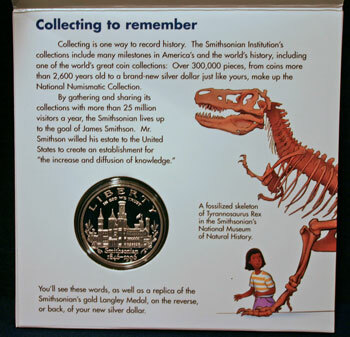 On the bottom section, Christina stands below and looks up to the dinosaur skeleton with the caption, "A fossilized skeleton of Tyrannosaurus Rex in the Smithsonian's National Museum of Natural History." Collecting is one way to record history. 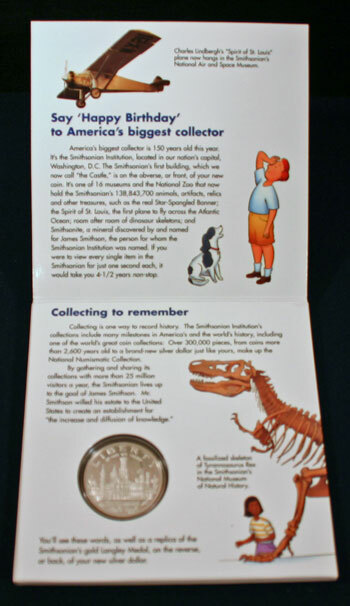 The Smithsonian Institution's collections include many milestones in America's and the world's history, including one of the world's great coin collections. 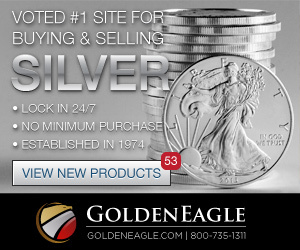 Over 300,000 pieces, from coins more than 2,600 years old to a brand-new silver dollar just like yours, make up the National Numismatic Collection. By gathering and sharing its collections with more than 25 million visitors a year, the Smithsonian lives up to the goal of James Smithson. Mr. Smithson willed his estate to the United States to create an establishment for "the increase and diffusion of knowledge." 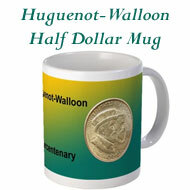 You'll see these words, as well as a replica of the Smithsonian's gold Langley Medal, on the reverse, or back, of your new silver dollar. 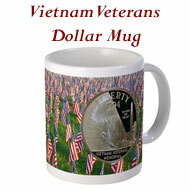 Just look at the detail of "the Castle" on the obverse (heads) of the silver dollar. The windows and doors of the various towers can clearly be seen along with the flag waving high. 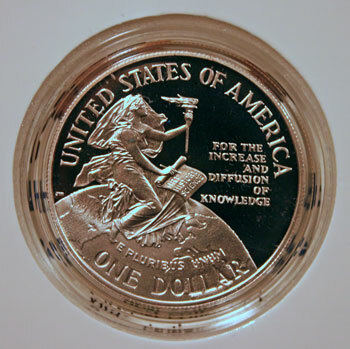 On the coin's reverse (tails), the figure holds the Torch of Knowledge in her left hand and sits on the globe near the United States. In her right, she holds a scroll inscribed with "Art Science History." Smithson's challenge to the US in using his estate's wealth, "for the increase and diffusion of knowledge" is inscribed to the right. 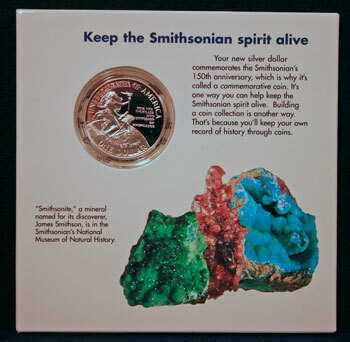 For over 150 years, the Smithsonian Institution has nobly followed Mr. Smithson's instructions with their collections. 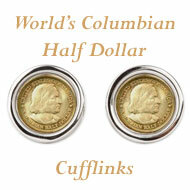 Collecting coins provides knowledge and a tangible artifact about history. 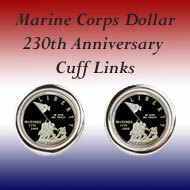 You can enjoy collecting these coins either through the Young Collectors Edition coin sets or through commemorative coins.